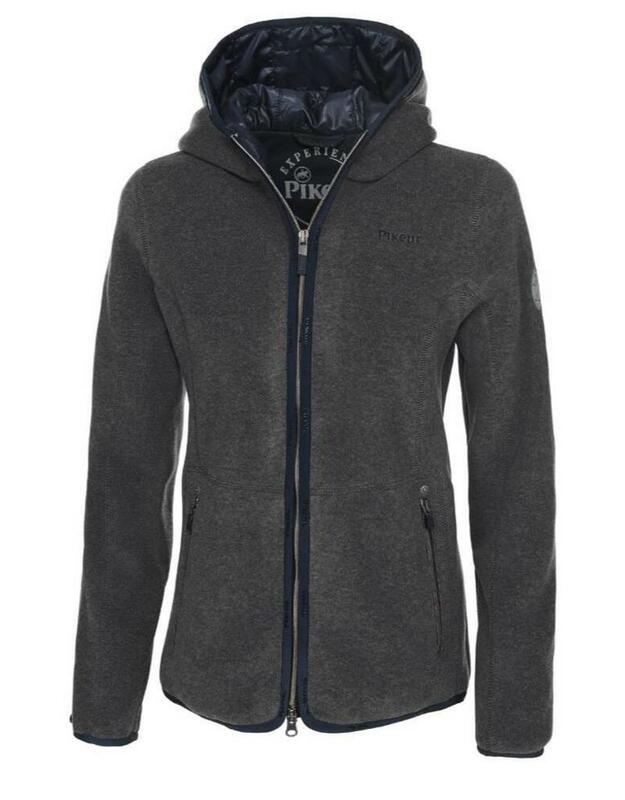 Sporty ladies jacket made of warm and smooth outdoor fleece fabric in Melange-look with attached hood. The hood is lined with nylon fabric and quilted with 40g polyester-wadding. The outer-hood is equipped with fashionable band-application and can be fixed by hook and loop fastener. With rollerband-edge at the sleeves, the seam, the 2-way-zip and the hood. With zipper side pockets , above the pockets with fashionable studs-applications. With Pikeur-embroidery on the left chest. With new Pikeur-rubber-label on the left sleeve.